I don't generally highlight online payday lenders or cash advance loans on the blog. In fact, I've been to the point of screaming against them in some posts. The thing is, sometimes you just can't help it. If your credit score is below 520 FICO, there's a good chance you won't be able to get a loan from one of the recommended bad credit peer-to-peer loan sites. That doesn't mean you don't need the money. Instead of jumping all over the high costs of payday loans and the risks in cash advances, I thought I would highlight an online option that might be a better solution. Cash Central is an online payday lender but also offers other types of loans, depending on your credit. If you qualify, the other types of loans will save you hundreds in interest and fees but even the payday loan option comes at lower rates compared to traditional cash advance stores. Is Cash Central worth the convenience? If you only need to borrow up to $1,000, you might consider a Cash Central payday loan. 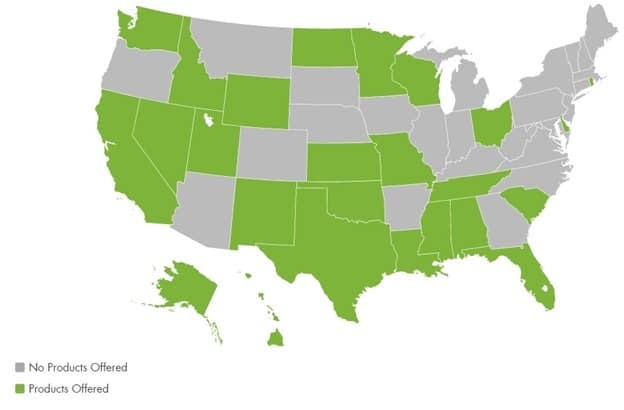 Every state has different borrowing limits, so Cash Central might only let you borrow up to $400 if your state has more restrictive payday lending standards. Payday loans get a negative rap because of their high interest rates, and I agree that payday loans should be your very last option. There are a very few online payday lenders like Cash Central that offer lower rates that traditional payday loan stores and better terms. One thing Cash Central does right with their payday loans is a maximum 31-day lending period; any money you borrow must be repaid in full within a month. Before you apply for a payday loan, you can estimate your total finance charges based on the amount you borrow and your finance charges. While state laws require payday lenders to be transparent with the fees before the loan is issued, Cash Central does an excellent job of letting you know how much you owe based on how many days it takes you to pay the loan back. Repaying your loan is easy. All you need to do is have the required balance on the payment due date in the same bank account Cash Central made the deposit. When the due date arrives, Cash Central will automatically withdraw the cash and your loan is paid in full. Cash Central also offers personal installment loans that let you borrow up to $5,000 for up to two years. Once again, your individual state law might enforce smaller limits or prohibit installment loans altogether. If Cash Central offers installment loans in your state, there will be an “Installment Loan Terms” tab beside the “Payday Loan Terms” tab. California is one of that state that Cash Central issues personal installment loans. Assuming you borrow $2,501 for 24 months, your estimated rate will be 186.07% APR. While this interest rate is significantly lower than a payday loan that can vary between 200% and 1000%+, these personal installment loans are still very expensive. Instead, you might consider applying for a peer loan online where you maximum APR could be 35.97% with bad credit. Title loans are a good alternative to payday loans and personal installment loans because the lender doesn’t perform a credit check. This is because your car is put up as collateral and you can usually borrow up to the value of your car or $25,000, whichever amount is smaller. Only apply for a title loan if you know you can repay the loan in time so you don’t lose your car. Cash Central doesn’t issue title loans, but they can help connect you with a lending partner that does. You will need to visit their local branch to discuss lending terms and rates so getting a title loan through Cash Central may or may not be worth your time. For Kansas residents only, Cash Central offers a line of credit loan that is similar to a Home Equity Line of Credit (HELOC) and you only pay interest on the money you borrow, not your actual credit limit. The maximum 31-day lending period helps hold you to a timeline to repay your balance as soon as possible. 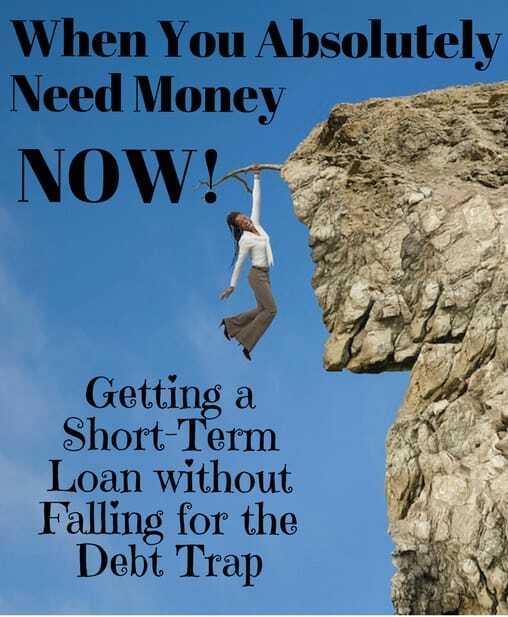 This is a good thing because payday loan interest rates can be very high, pushing you into the cash advance debt trap. Another positive about Cash Central is their instant approval for most applicants and the ability to apply 24/7. You could visit your local lender, but that requires time and gas money which add to the total cost of the loan. Whether you work a 9-5 or 3rd shift, you can submit an application in a matter of minutes. Potential borrowers that live on the west coast will need to get their loan application in during normal banking hours by 4:45 PM Pacific Standard Time to receive the cash deposit the next day. This means if you work first shift, you will need to apply for a loan before you leave for work, during your lunch break, or asking if you can leave early. As long as you don’t need the money tomorrow, the time zone restriction won’t both you, but it’s something to keep in mind. Is Cash Central a Scam? Cash Central is a legit online lending company if you need to apply for a loan with bad credit. While they offer four different types of loans, you should only use them for their payday loans or installment loans because of their strict 31-day borrowing limit and transparent prices. Before applying to an online payday loan site, I recommend trying personal loan sites like PersonalLoans and NetCredit. Both sites specialize in bad credit loans and at rates that are way below Cash Central or other cash advances. Another benefit is that you'll be able to borrow enough to get out of the debt cycle instead of just enough to get to your next payday. Cash Central is a good ‘last-resort' option though and still much cheaper than traditional payday loan stores or pawn shops. The 31-day payment limit really helps to keep the debt under control and rates are lower than similar websites. An investment analyst by profession, I am excited about what the peer lending revolution means for how we think of lending in America. The restrictive traditional model of banking is being pushed aside. Investors and borrowers are being matched up directly and getting a loan has never been easier.